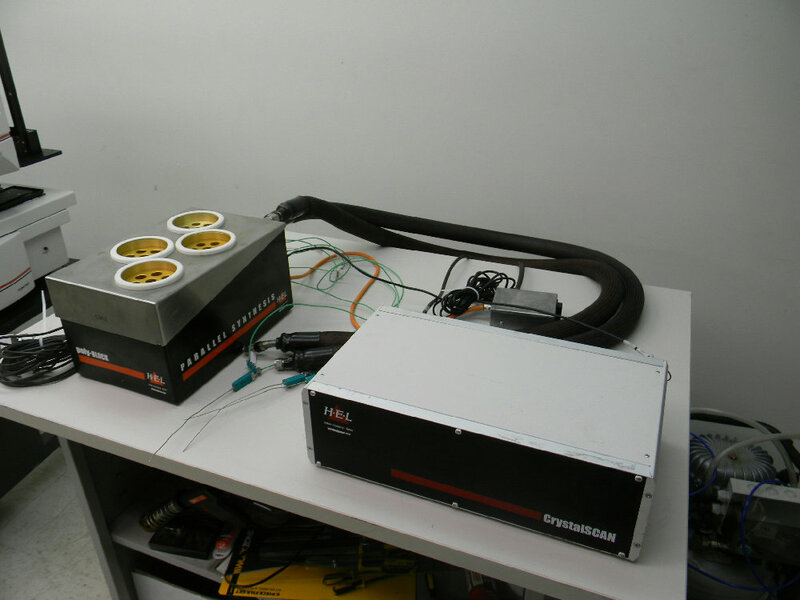 HEL CrystalScan Automated Crystallisation Screening System with PolyBLOCK . New Life Scientific, Inc. This HEL crystallization screening system comes with the polyBLOCK and is in excellent cosmetic condition. We are unable to fully test this system as we do not have the necessary software or chiller available, but it was taken out of a working environment and we offer a 90 day money back guarantee. Please refer to the pictures or contact us for more information. Please click here to be redirected to the manufacturer's page on the CrystalScan system, and here to be redirected to the page on the PolyBLOCK.